This Lecco culinary tour provides food-tasting experience that allows you to get to know Lecco and its people in an authentic manner. As you walk and eat, a guide offers an insider’s view of the history, culture, and architecture of the city. When booking, you have the choice of a morning 2.5-hour tour or an evening 2.5-hour tour. 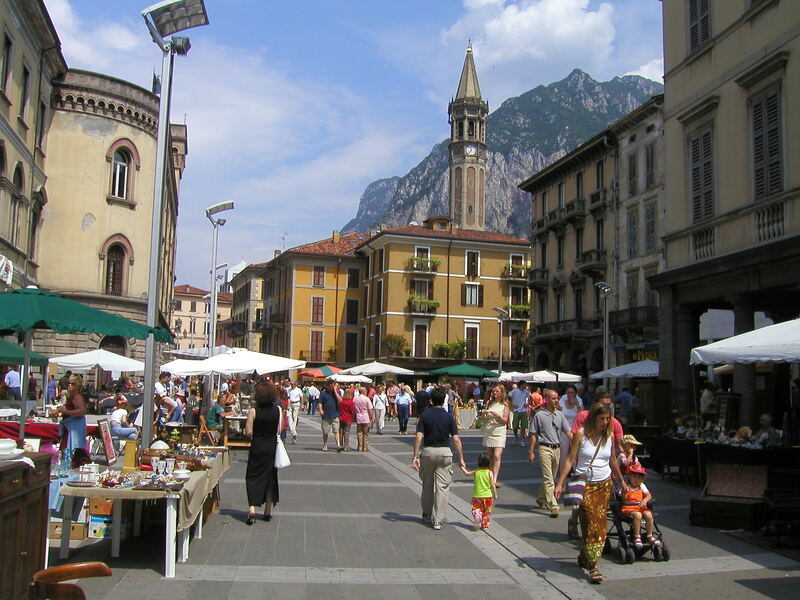 Your walking tour takes place in Lecco’s historic center, where you’ll indulge in tastings at several eating spots. As you satisfy your appetite with salty finger food, your guide shows you the nooks and crannies of the town, rich with history and tradition, hidden away from common guidebooks. Discover Alessandro Manzoni and Lecco’s architect Giuseppe Bovara while sampling the finest prosciutto, mortadella, and bresaola, all accompanied by varieties of tasty focaccia. If you are a cheese lover, you are in the right place, with an abundance of dairy delights such as Taleggio, goat cheese, and varieties from the surrounding alpine pastures. And finally, depending on availability, taste the local polpetta called Mondeghilo and some freshwater fish from Lake Como. Lunch and dinner will be served in a typical restaurant renowned for highlighting the ancient lake and land flavors in its dishes. This is the best time to relax and get to know your travelling companions while enjoying a delicious pasta dish accompanied with a glass of local Valtellina valley red wine finishing with our famous Italian espresso. Would you like more information about this tour?